The shooting was first delayed because Kareena was pregnant so they re-wrote the script to fit the pregnancy in it. Then it wasn't possible to do the movie while Kareena was pregnant because they couldn't get her an assurance. Regarding the film, now that Kareena has shed her pregnancy weight and that Sonam has launched her clothes line, it will go on floor soon. June or July I think. Rhea Kapoor, who is the producer of Veere Di Wedding, confirmed that the film will go on floors this August. 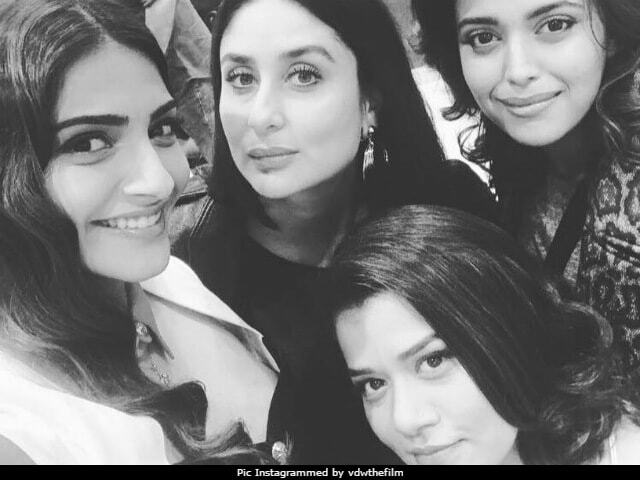 Last year, producer Rhea Kapoor managed a casting coup of sorts, when she signed sister Sonam, alongside Kareena Kapoor Khan for Veere Di Wedding, to be directed by Shashanka Ghosh of Khoobsurat fame. The film was all set to go on floors last September, but Kareena excused herself and went on her maternity break. While Bebo was busy with her first born Taimur, Sonam Kapoor took on Akshay Kumar-starrer Padman and subsequently was roped in for Sanjay Dutt's biopic too, which kept her on her toes. The makers then decided to roll in May, however now we hear that the film will finally go on floors in August this year. Speaking exclusively to India Today TV, Rhea Kapoor confirmed, "Yes, it's going to go on floors in August and we would be shooting a little bit of it in May though, minimally, but Sonam is going to finish Padman and Dutt first." She continued, "And of course Kareena, she has not really gone away. She just had a human being and now it's going to be her time to get back to work and I am so excited. So August seems like the ideal time and we will finish it in one shot. It's a 55-day film and it's going to be great." Shikha T has no Wikipedia article, but don't be fooled. and 2 more "in prep" including this one. Her others include Midnight's Children (2012) and My Friend Pinto (2011). IMDb also has two more articles for "Shikha Talsania" which between them credit 3 more films made in 2016 & 2017. I suspect some carelessness, somewhere among IMDb contributors. CITWF also has an article for her, listing Wake Up Sid only. Tiku Talsania has articles in each. He seems to have appeared in about 200 films, as a supporting actor. It will be a fun and vibrant Delhi for ‘Veere Di Wedding’! Anticipation for ‘Veerey Di Wedding’ is really high as it marks the comeback of gorgeous Kareena Kapoor Khan to films post pregnancy. The preparations have already begun and the stars are expected to start shooting really soon. Here we have got some update on the shooting schedule of the film. Apart from Kareena, we will see Sonam Kapoor and Swara Bhasker too, in this film. Reports suggest that the team of ‘Veerey Di Wedding’ had visited Delhi to do the recce and find the most fun and vibrant locations in Delhi for this film. Talking about the preparations, Kareena has been sweating it out to lose her post-pregnancy weight. She has been following a strict regime for the same. Meanwhile, reports also had it that Swara Bhasker will be losing around 10 kilos for this film. Stars are indeed putting their heart and soul in this film and we just hope the outcome of this is great. 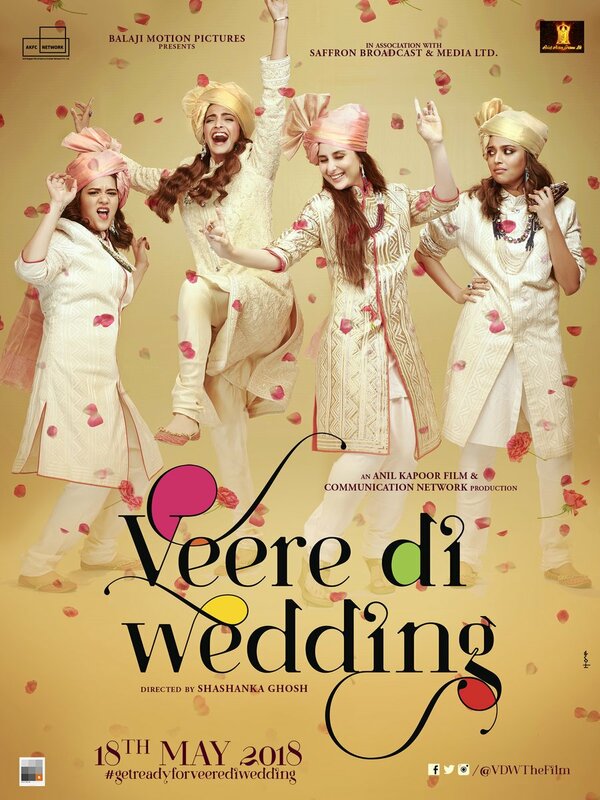 ‘Veerey Di Wedding’ is a chic-flick with three beautiful ladies in the lead. It is being directed by Shashanka Ghosh. It is reportedly a remake of Hollywood movie ‘Sisterhood Of The Travelling Pants’, however there is no official confirmation of the same. "Like" it? I spent about 25 minutes watching this 2.5 minute video! D.